In 1622, a kiln for the exclusive use of the feudal lord (daimyõ) of Hirado Domain was established in Mikawachi. One of the Korean potters who worked at this kiln was Kõrai Baba, also known by his Japanese name, Nakazato Ei (given here in the traditional order, with the surname first). Kõrai Baba later founded the Hirado Kohsyo Danemon Kiln, so we trace our lineage right back to 1622. 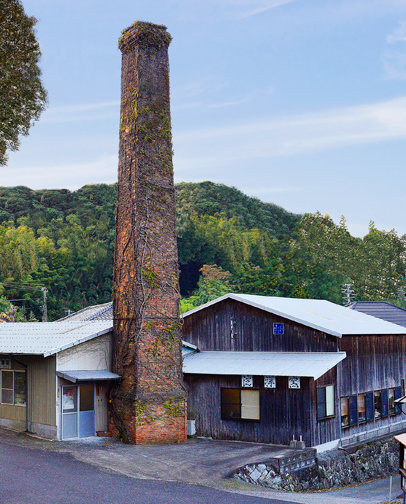 According to research carried out by the 16th generation kiln head, Morisaburõ Nakazato, the history proper of our own kiln dates back to 1690. Its earlier lineage, as mentioned above, begins with Korean potters from Ungcheon (near Busan), captured there and brought back to Japan, on the orders of Toyotomi Hideyoshi, by Matsuura Shigenobu, daimyõ of the Hirado Domain , after the second Japanese invasion of Korea in 1598. Four hundred years later, in 1998, this cultural connection was marked by the 1st Ungcheon Tea Ceremony Exhibition, held in Ungcheon. Together with Mr. Akira Matsuura, a descendant of Matsuura Shigenobu, representatives of our kiln travelled to Korea to attend the event. We saw this as our first pilgrimage to the home town of our forefather. Our kiln is blessed with a rich heritage of skills, handed down in unbroken succession for four centuries. In the 20th century, we received the honour of having our porcelain vessels used in the ceremony held to mark the marriage of Emperor Shõwa. On October 23rd, 1918, our kiln was officially appointed a purveyor to the Imperial Household Agency. The appointment is still held by our current kiln head. Ever since our kiln was established, we have used porcelain clay made from processed Amakusa pottery stone (amakusa tõseki). Besides the white porcelain decorated with underglaze blue (sometsuke) for which we are best known, we also make items ornamented with tooled-chrysanthemum appliquê work (kikka-kazari zaiku) and a wide variety of everyday tableware items, many of which feature turnip motifs. Associated with vigorous propagation, the turnip was chosen by our predecessors as a lucky symbol, intended to bring prosperity to the descendants of the Hirado Domain's daimyõ, Matsuura Shigenobu; over the years, it became one of our kiln's signature motifs. Our other traditional specialties include "Old Hirado" ware (ko-hirado) decorated with motifs of flowering plants painted in translucent cobalt-blue pigment, and designs portraying Chinese children (karako-e). About Mikawachi ware Mikawachi ware boasts four centuries of history. 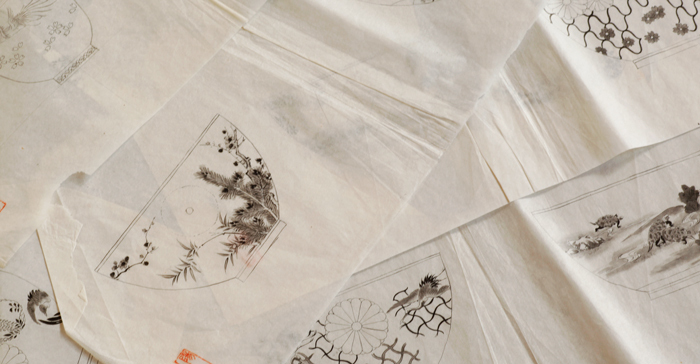 These four centuries have brought many landmark events in the history of Mikawachi ware. One of the most significant was the transition from the era of the official Hirado Domain kiln to the era of smaller, family-run kilns. Here we present its history in question-and-answer format. When did Mikawachi ware originate? Its origins can be traced back about four hundred years, to the time of the Japan's second invasion of Korea, led by Toyotomi Hideyoshi , who intended to conquer Korea and eventually Ming-dynasty China. Returning to Japan after this campaign, Hirado Domain's daimyõ, Matsuura Shigenobu brought back with him, on the ruler's orders, a number of captive Korean potters, one of whom was known simply as "Koseki". In 1598, Koseki opened a kiln in Nakano, and began producing the first porcelain ware ever made in Hirado. This is why Mikawachi ware is also sometimes known as Hirado ware or Nakano ware. So, the first Mikawachi ware was made by Korean potters. Who discovered the raw material, and where? According to some sources, a deposit of Ajiro pottery stone (ajiro tõseki) was discovered in 1634 by Koseki and his son Imamura Sannojê , in a location then known as Hairomitsudake (corresponding to the place now known as Egami in Sasebo). According to other sources, it was discovered in 1712 by Yokoishi Tõshichibê (third son of Nakazato Moemon, our second generation kiln head) who lived on Mount Kihara (Kiharayama) in the Mikawachi area. At present, the first version is more generally accepted. In 1662, Imamura Sannojõ's son, Imamura Yajibê, is said to have discovered a deposit of Amakusa pottery stone in Kumamoto. His discovery is said to have been prompted by noticing ceramic whetstones being unloaded from traders' boats at Haiki (in Sasebo, Nagasaki Prefecture), and making enquiries about their provenance. Today, the banks of Haiki Strait are the site of an annual market known as Haiki Chaichi, where fish, mountain produce and other goods are sold by local traders. This market is about four hundred years old, so the story could well be true. Who was the founder of the Hirado Kohsyo Danemon Kiln? The surname Nakazato is also found in Karatsu, in Saga Prefecture: is there a connection? The founder of our kiln was Kõrai Baba (also known by his Japanese name, Nakazato Ei). He is said to have been one of the Korean potters brought to Japan as captives in 1598, and like the famous Koseki, he probably came from the Busan area. Highly regarded for his skill as a potter, Kõrai Baba married into the family of Nakazato Moemon in Shiinomine, Karatsu, and took the Nakazato family name. On the death of the head of the family, he relocated to Mikawachi and opened a kiln at Nagahayama in Mikawachi. He is now remembered as one of the pioneering artisans of Mikawachi ware. Kõrai Baba's relocation from Karatsu to Mikawachi was apparently made with encouragement from an ex-Karatsu potter who had moved to Mikawachi following an event known as the "Kishidake collapse" . Here is an account of what happened. The Kishidake area of Karatsu had long been home to a number of highly-regarded kilns using Korean techniques. These kilns had enjoyed the direct patronage of the Hata family, whose head was the local daimyõ. However, during the Japanese invasions of Korea in the 1590s, the daimyõ Hata was ordered by Hideyoshi to join a military campaign in Ungcheon. Hata delayed his departure for more than 18 months, and as punishment for his disobedience, Hideyoshi destroyed the entire Hata family. The potters of Kishidake were obliged to leave the area. Some of them fled to Mikawachi to work for the family of Ryûzõ Jiichi, a Hata connection who still retained power and status in the locality. This explains why recent excavations at Nagahayama turned up Karatsu-style pottery in the earliest stratum of the surveyed area. How far has the number Mikawachi-ware kilns decreased since the old days? This administrative arrangement dates back to 1643, when a government office was opened in Mikawachiyama, while branch offices were opened in Kiharayama and Enagayama; the opening of these offices followed the appointment of the potter Imamura Sannojõ - a highly-regarded local figure - as governor and chief artisan of the Mikawachi sarayama in 1637. The downward trend in the number of Mikawachi's kilns and artisans is shown below. The family of Imamura Tõryõ is known to have had a workshop in this area in the early years of the Edo period. Later, when government offices were established in the three production areas, the family opened more workshops, where Imamura Tõryõ and about 20 of his potters made porcelain ware under the direct patronage of the domain's feudal government. These workshops are also thought to have employed a number of local people in ancillary positions. The number of households in Mikawachi at that time is estimated at about 300. Not much has changed since 2001. Although fewer local people are now engaged in pottery and porcelain production, those who work at the kilns are mostly aged between 30 and 60, and all the kilns seem to be in active operation. Note: The sources used for this article include oral tradition still extant in Mikawachi, and reference literature. If you have any comments or queries, please feel free to get in touch, using the details provided on our Contact page.